Driving with Mama | Enjoy Life and Do Good! “Where do you want to go now?” I asked Mama. 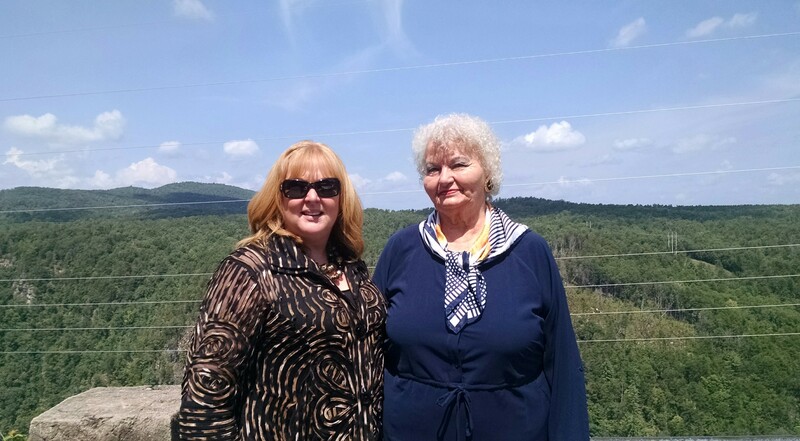 We were in Clarkesville, the next town north of where she lives. We’d driven there after lunch to go to the funeral of her next-door neighbor’s daughter. We’d already had lunch and it was a beautiful day so I didn’t want to go straight back home. “Well, I really don’t care,” she said, welcoming the idea of other options. I drove straight through the four-way stop rather than turning left toward home. “Let’s drive by Clarkesville Mill,” she said. “I don’t remember the last time I was up this way.” Daddy had worked at the mill for over thirty-five years. We had lived in a smaller town about fifteen miles south. “I used to know the people who lived there.” “We stopped there one time,” and “That used to be…” we reminisced as we drove through town. The textile mill Daddy retired from almost thirty years ago is now an arts and antiques mall. The downtown area, like many small downtown areas, has changed a lot from the old days. Once the thriving heart of the community, it went through a dry spell as businesses moved out to shopping centers. The town square has now been revived as a historic area that boasts quaint restaurants, boutiques and antique stores. “We’re pulling a Buster, aren’t we?” I said as we headed north toward the mountains. When we were growing up Daddy would often take us for a Sunday afternoon drive. He loved driving and loved the north Georgia mountains. Sometimes on Saturdays he’d just leave without saying a word to any of us. We’d hear the car crank and off he’d go. Hours later he’d return. “Where have you been?” we’d ask. “I went to the Dairy Queen to get an ice cream,” he’d answer with a twinkle in his eye. “The Dairy Queen up in Hiawassee,” he’d laugh. Hiawassee, about forty miles north, was a long way to go for an ice cream. This little joke greatly amused him. “Pulling a Buster,” is what I call it when I go for a long drive with no destination in mind. Like Daddy, I love to drive. I often go for a Saturday or Sunday drive into the north Georgia mountains. A long drive is a great way for me to relax and think as I enjoy the views and the act of driving. With a convertible the sun on my face and wind in my hair is an added pleasure. Mama and I just made a decision at each junction as to which way to turn. We talked about Daddy and our long ago drives through the mountains. We pointed out the old sites and the new developments. We talked about old times when we’d traveled those roads before. We talked about other places we’d like to go and about things happening in our lives now. We stopped at Tallulah Gorge to look over. Just as we had every time we drove that road back when my sister and I were kids. We had a young man take our photo. Back in the old days, phones didn’t take pictures. So much has changed. And yet the gorge and mountains remain much the same. We drove through Habersham and Rabun Counties and into North Carolina, finally turned back in Franklin, about fifty miles from Mama’s house. Beautiful weather. Awesome scenery. A couple hours driving and sightseeing in an area we know so well. It’s a good way to spend an afternoon with Mama. Yep, we “pulled a Buster” and it was fun. This entry was posted in Live with Passion and tagged Daddy, driving, enjoy life, family, Mama, Mountains, reminiscing by Myra McElhaney. Bookmark the permalink.